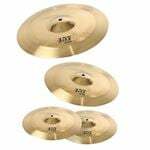 Affordable cymbals are generally made of inexpensive sheet alloys, using short-cut manufacturing methods to keep the cost down. 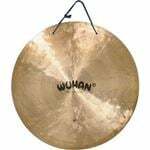 Wuhan cymbals are handcrafted in China according to two-thousand-year-old traditional methods, using high-quality cast B20 alloy. They're buffed to a brilliant finish and stamped with an unobtrusive but attractive logo. 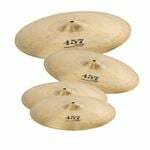 They are ready to use on any gig - something you can't say for just any cymbal at this price. With Wuhan cymbals as a part of your kit, prepare to be surprised at how much you'll hear, especially considering how little you'll pay! Rating (8) 3 out of 5 stars. 8 ratings. American Musical Supply is excited to be your stop for Wuhan Cymbals! We offer True 0% interest payment plans - applying is easy and there is no credit check for our 3-pay plan on purchases from $49-1,500. Use your own debit or credit card, enjoy fast and free shipping, and add Wuhan Cymbals to your creative setup. We make buying Wuhan Cymbals quick and easy - in-stock items that are ordered before 4PM EST will ship out the same day! Do you have questions about Wuhan gear and want to know which items would be best for you? Give us a call at 800-319-9043 - our experts are standing by.